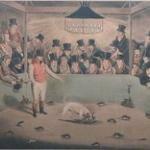 It is a proven fact that man since early times was beside the canine. 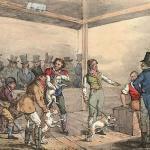 It was not long since those times that human beings began to document their existence. 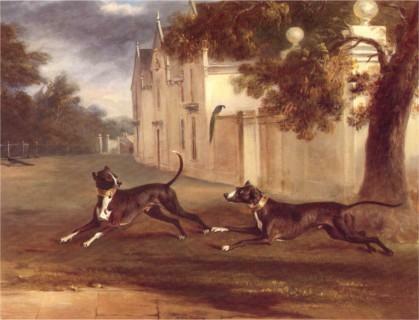 The dog was already represented in their designs and paintings and in their inscriptions, showing dogs that were hunting in the wild together with them. 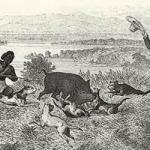 Archaeologists and scientists are correct to concur that the canine was the first animal to be domesticated by man. 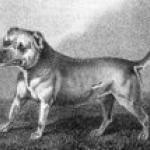 The first traces of the American Pit Bull have remote origins, the type known as molossus and were used by “Assiri” people in war and to catch big animals. 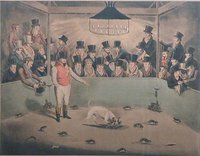 They were famous for their sturdy build and strong lock jaw, but they were especially noted and commended for dog fighting, true gladiators without fear. 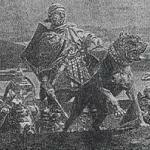 During sixth century BC the molossus arrived in Europe due to the merchant trading of the Fenici people and spread rapidly, they were used in roman amphitheatres fights against tigers and lions and they showed themselves efficient even in war. 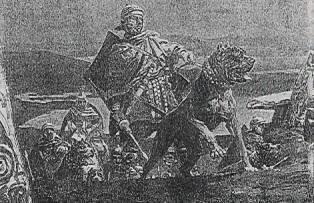 The Romans exported the molossus to conquered territory and when they reached England they crossed the roman molossus with dogs of the isle giving birth to an even stronger dog. 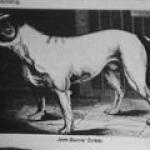 To contribute to the creation of the American Pit Bull Terrier many breeds were used many of which today have disappeared and died out, like the old English Bull Dog, the Bull and Terrier, the Old English Terrier and the Bull Terrier. 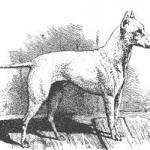 These dogs were selected to create a dog that would always be strong but also light, fast, agile and more resistant. 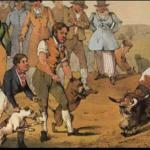 The name Pitbull comes from the words Pit meaning arena and Bull meaning Bull as in Bull fighting. 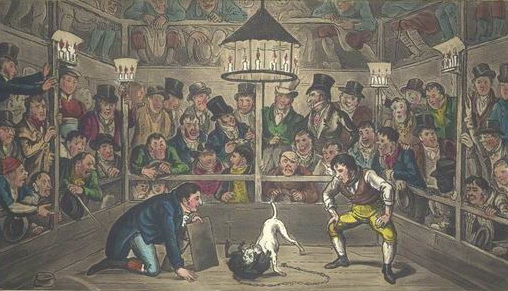 The Pitbull was used in arenas for fighting large rats known as Rat Killing, where the dog killed the most number of rats in less time possible. 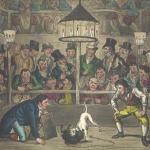 It was also used in other fights against bulls, known as Bull Baiting, then in fights with other dogs known as Dog Fighting. 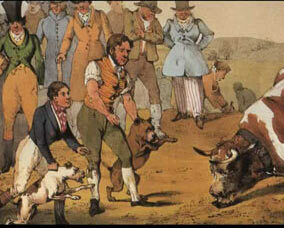 This phenomenon was banned in 1856, when the State of New York prohibited various types of fighting among animals. 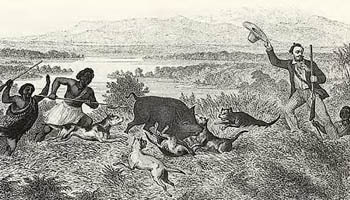 The campaign against cruelty in animal fighting was put forward even by the president of the United States and Nobel peace prize winner, Theodore Roosevelt that he himself owned a Pitbull. To have an idea of how the canine breed function, they come classified in 5 groups: watch dog, the defender, the worker, the hunter, the player.? All these functions merge under one single dog: the American Pitbull Terrier, already used for some time in America by the police in anti drug and anti explosive units; as well as in therapy used for Handicapped people known as dog therapy. Unfortunately there are many negative beliefs of this breed, but I can sincerely reassure that a more false assumption could not be made; the pure blooded American Pitbull Terrier is a powerful animal, intelligent and extremely faithful. And as many connoisseurs of the American Pitbull Terrier often jest: …”there are only two types of breed of dog in the world: the Pitbull and those that want to be one. 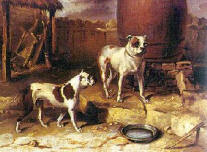 If today the American Pitbull Terrier is healthy, robust, powerful, fast, agile, courageous and an intelligent dog, it was made possible thanks to the genetic patrimony passed down by old breeders that selected a base criteria both physical and mental, that the new breeder today must be careful not to ruin this splendid breed and conserve the most extraordinary animal man has ever created. 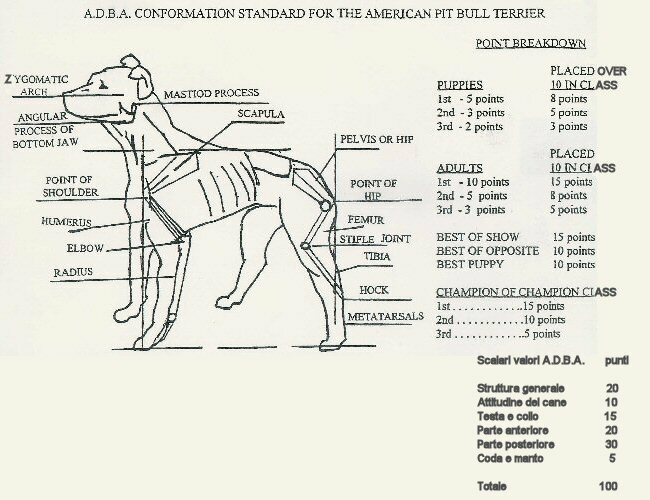 The Association that takes care of the American Pitbull Terrier registrations is the American Dog Breeder Association, ADBA, that was founded in 1909 by Guy Mc Cord, a close friend of John P. Colby, now under the administration of the Greenwood family. 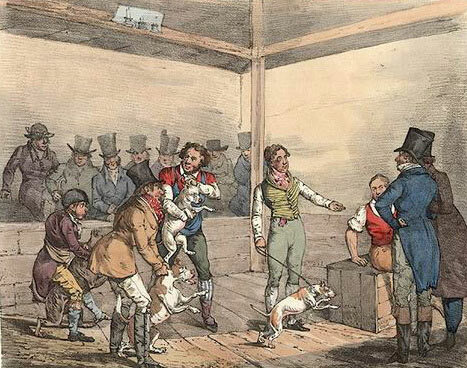 The ADBA sponsor shows and exhibitions and weight pulling competitions where the dogs pull a cart charged with much more than their body weight, testing their strength and vigour; without cruelty or illegal activity. 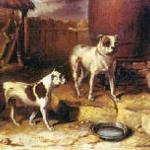 The American Dog Breeder Association also publish a magazine every three months dedicated to the American Pitbull Terrier, called the American Pitbull Gazette. Self confident, famous for its powerful body, agile, fast and enduring, it moves with the light agility of an athlete. 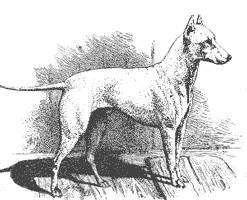 In side profile it must be square, thus the length of the shoulder to the hip must be the same as the distance of the shoulder to the floor; a dog that is structured in this way will be taller and slender with an incredible leverage system. 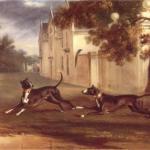 When comparing dogs with more or less the same weight, it is the taller more slender ones that function best. The features must be balanced within every aspect, too much of one thing can distract from another; a winning look is an object of beauty. The head must not be too big; it would simply a useless amount of extra weight. 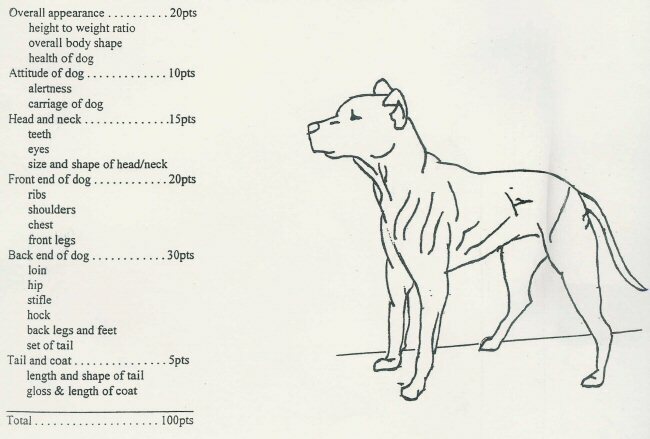 In an exemplary well proportioned Pitbull the head seen from above must be a form of a wedge and round if looked at from the front. The dimension of the head must be even and two thirds the width of the shoulder span. If the head is seen from the back it must be the same distance from between the extremity of the head to the stop and between the stop and the point of the nose. The eyes must be elliptical if seen from the front and triangular if seen from the side, small and deep set. The nose must have a well developed snout, with wide coloured nostrils, either red nose or black nose. The mandible must be well developed and the jaws must lock in a scissor like fashion. This means the upper canines must be behind the lower canines when the mouth is closed. The lips must not be too baggy, and the ears must be high and up right and the point preferably a rosebud shape, either natural or even cut to size. The neck must be fairly long, straight and muscular, right until the base of the cranium. The shoulders must be a little fuller than the rib cage up until the eighth rib. Narrow shoulders do not hold up an adequate muscular structure. Shoulders too broad make the dog heavy, making him slower. The chest must be long and deep, narrow and well formed. 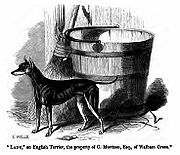 A narrow chest is preferred to one like a barrel. 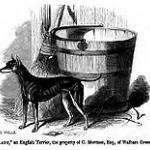 A dog with a barrel like chest other than carrying weight to much for its height has an initial pump of air but a short run, in fact the dog needs to breathe faster with regular breaths than a dog with a chest that is long and deep. The back must be strong and slightly arched. The sides must be ample, in fact the lumber muscles must be full and offer a stable attachment for the gluteal and hamstring muscles as these are the most important sources of power. The scapular must have more or less an inclination of 45 degrees to the ground, it must flat and full. The humorous must be long enough for the elbow to be found lower in respect to the lower part of the ribcage. The elbows must be flat and strong giving great mobility to the movements. The front legs must be sturdy and heavier than the posterior legs, well inserted and parallel. The hind legs must be lighter than the front legs but always solid and strong to guarantee a major pushing strength. The muscles of the posterior train are long and strong. The paws are small and closed and high on the back. The skin is thick and full, without creases except between the neck and the chest. The coat must be silky and short and of any colour. The tail is thick at the base and then tappers towards the end and long enough to reach the heel which needs to rely on natural flexibility and strength of a heel well curved with a good joint to control its movements. But the dogs with an upright heel or often seen a double heel, run well until their muscles allow, then their hind legs fatigue quicker and they lose energy.